Newry City Sinn Féin Councillor Charlie Casey has said that the Pipe Laying Scheme in the Canal and New Street areas of the city have the potential to cause massive traffic inconvenience. 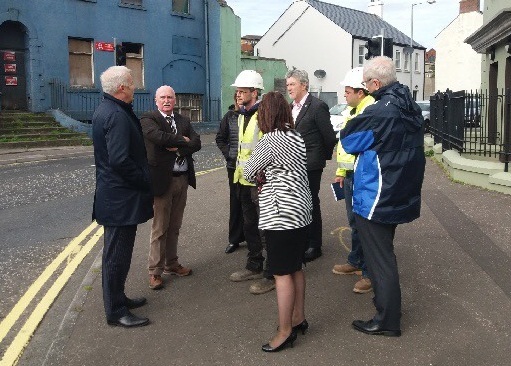 The local Councillor was speaking after he and Newry and Armagh MP Mickey Brady met with school representatives at the site of the proposed works. 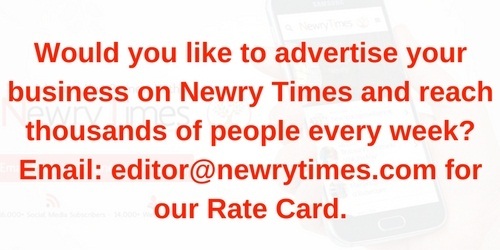 Speaking to Newry Times, Councillor Casey stated, “Pipe laying in Canal Street and New Street is proposed to commence shortly. There are five schools within the works area: St Colmans, St Joseph’s, Our Lady’s, St Patrick’s Primary School and St Joseph’s Primary School. He continued, “The main issue is the traffic management to accommodate access to these schools. “It appears little consideration was given on how buses will navigate the restrictions and what impact that will have on school timetables and local housing developments including Mourne View Park and Erskine Street, Barrack Street, Cochron Road, Plunkett Street and many others,” Casey added. Newry and Armagh MP Mickey Brady said that he would contact the Department of Infrastructure (DfI) and Translink to discuss the serious issues raised. “One wonders why this project wasn’t carried out during school breaks. “The concerns raised are genuine and myself and Charlie share them. There is potential for chaos with buses and heavier traffic trying to manoeuvre around diversions.